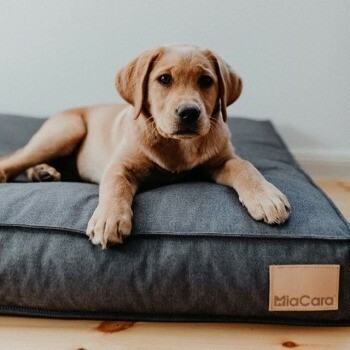 The luxurious raised dog bed Grey Moon Basalt provides your dog with extra height to keep your furry friend away from drafty floors. It creates a beautiful warm and cosy sleeping area. The look of this striking raised dog bed Grey Moon Basalt is inspired by the classic divan or boxspring style for humans. 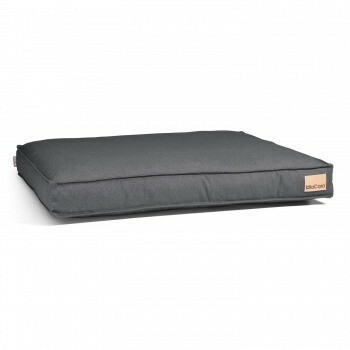 The extra height achieved through the combination of cushion and mattress moves your dog away from drafty floors. It therefore creates a warm and cosy sleeping area. The top of the bed is made of a soft and quilted cushion, which is connected via a Velcro style closing to the bottom mattress. The mattress is made of elastic foam that offers high quality comfort and very good orthopaedic support for your dog’s spine. The cover of the topper has a slight pre-washed look and is made from a durable cotton and polyester blend. It can be removed and washed separately washed in the machine on a cold and gentle cycle. 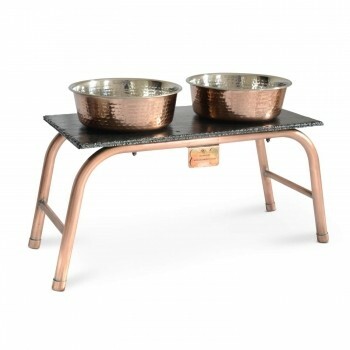 This classic dog bed graphite follows the aesthetic idea of ‘less is more’ coined by architect Ludwig Mies van der Rohe. Combining elegant aesthetics with practicality – the Lino is designed for plenty of everyday use. The cushion cover is soft yet extremely robust, and a zip makes it easy to remove and wash. This Boris Johnson squeaky dog toy will make a hilarious gift for your zeitgeisty pooch. So bring a smile to your face as you watch your dog go to town on their new toy. Fashion fades, style is eternal so they say. Not a problem with this elegant take on the everyday collar. Cushioned for extra comfort, this collar features a soft lining in between two layers of premium full grain Italian leather. 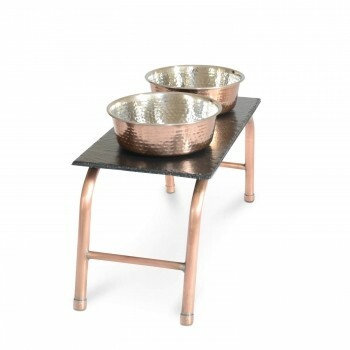 Completed with polished brass hardware and heavy-gauge stitching, the premium components of this product ensure the perfect balance between refinement & durability.